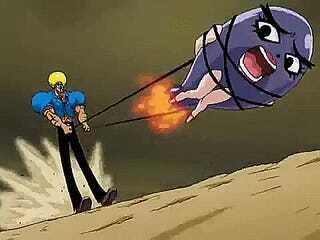 SAY WHAT BOBOBO! GET UP! STEP UP! 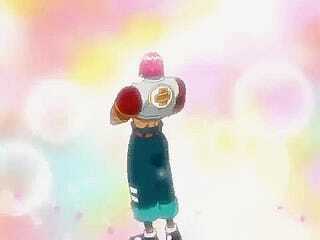 Man I love Bobobo-Bobo-Bobobo and this opening shows why. From the visuals to the music just tell you that this series is plain wild. The sheer amount of colorful and weird characters shown in the opening only gives you a taste of the insanity that is Bobobo-Bobo-Bobobo. Each character in the show is a common archetype used in most shounen manga, but when they fight with each other, it's just the funniest thing ever because each secret technique Bobobo and gang use is some form of parody or reference to another series in shounen jump with a dash of randomness. Also, the music is just plain catchy. It gets you so pumped up that it makes you want to jam out to it. 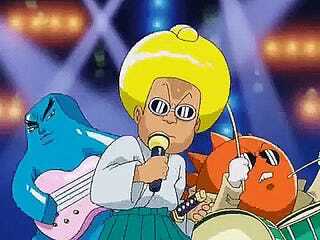 The main thing to take away from this is, WATCH FREAKING BOBOBO-BOBO-BOBOBOBO!